If you want to improve the visibility of your website, increase traffic and boost your brand’s revenue, you need to run a strong SEO campaign. While building backlinks, developing your social media presence, and other off-site practices are great for boosting your site’s rankings, on-page optimization is still incredibly important. Arguably, one of the most crucial aspects of on-page SEO is tags. Whether it’s title tags, header tags, meta tags or blog post tags, they have been demonstrated to increase traffic and boost engagement. However, are they still as important and effective now as they have been in the past? In this article, we’ll take a look at the role of tags of every type, and explore their impact on SEO. As you probably know, title tags are used by search engines (in part) to determine a page’s topic, and are also displayed in SERPs. A good title tag will demonstrate what the user can expect from the page before they actually click. In this way, they are a strong determiner of click-through rates. But how do they affect your site’s SEO? How Important Are Title Tags for SEO? For many years, title tags have been considered one of the most important factors of on-page SEO. In fact, in the past, title tags were seen by many as only second to good ol’ fashioned keyword stuffing in terms of importance. But are they as important now? According to research from Backlinko.com, Google’s shift toward semantic search could affect the relative importance of the title tag. The researchers found that a keyword-optimized title tag was associated with a better ranking, but that the correlation was smaller than it once was. For the purposes of this article, header tags refers to the HTML markup used to distinguish headings and subheadings within your content from other types of text (e.g. paragraph text). They run from h1–h6, historically in a sense of ‘importance’. The usage of header tags these days is the source of some debate. Before the advent and growing popularity of HTML5, it was typical to include just one h1 tag within your content, and the contents of that tag were seen to be pretty influential in terms of on-site SEO. However, these days, it is possible to utilize multiple h1 tags on a per-section basis, thus arguably lessening the importance of the hierarchy of header tags and encouraging search engines to be less simplistic in their analysis of any given page. How Important Are Header Tags for SEO? Searchmetrics’ 2015 Ranking Factors reported that two in every five webpages in SERPs didn’t utilize h1 tags at all. Was this simply a sign of lazy web design, or a reflection of the relative unimportance of header tags? On the contrary, the amount of pages using h1 tags has increased compared to 2014. In the top 30, this ratio has increased by 4%. On that basis alone, it would seem that the web designers of today consider header tags to be more important than they did previously. Furthermore, several case studies have highlighted the importance of using header tags effectively. For example, SearchEccentric worked with Motor Cars Ltd. in overhauling their header tags to be more SEO-friendly. Rankings leapt accordingly, with one keyword in particular jumping from 320 in the SERPs to the top spot. In terms of on-site SEO, header tags are certainly here to stay–it has been demonstrated that careful optimization can lead to major ranking increases. Most blogging platforms–like WordPress–provide you with the ability to add contextual tags to your posts. We refer to these as “blog post tags” in this article, in order to differentiate them from other types of tags. Blog post tags are part of your site’s taxonomy. WordPress and other blogging platforms utilize taxonomies to classify and better organize information. They provide visitors with a list of posts grouped by generally more specific topics than the categories. If you think of your site as a book, with categories as your website’s table of contents and tags as your index, you won’t go too far wrong. For example, if you run a fitness blog, you might have categories like “Diet”, “Workouts”, and “Fitness Tips”. Those three are broad terms that you would use to categorize posts. When you write a post and put it in the workout category, you might enter tags like, “pushups”, “squats” and “lunges”, if the post features them. These tags can be valuable to your site’s visitors and to search engines. For visitors, it improves the usability of your website in terms of being able to identify posts that cover specific topics. For search engines, it makes interpreting the page’s content easier and can ultimately aid your site in ranking better. How Important Are Blog Post Tags for SEO? Blog post tags do not necessarily improve search engine rankings in and of themselves, but, while they might not be directly influential, they can improve SEO indirectly. For starters, though most search engines don’t rank category and tag pages highly in the SERPs, high-quality tagging makes it easier for Google to see what your website is all about. For example, if you run a food blog that often focuses on vegan desserts, and you have a tag page for vegan desserts that links to many different pages and has various posts linking back to it, it sends a strong signal to search engines that vegan desserts are big part of your site. Furthermore, while tag and category pages aren’t necessarily ranked highly, they are still ranked—meaning they are a viable traffic source. Blog post tags not only provide you with another source of traffic, they also improve user experience. Using tags meticulously in posts makes it easier for visitors to find what they’re looking for on your site. Blog post tags can lower your bounce rate and increase time on site–both behavioral factors that Google take into account–as they make websites easier to navigate (when utilized effectively). They provide the user with a convenient way to access relevant content and, if the user easily finds what they are looking for, they’re much more likely to stay on your site. Google’s focus on user intent and perceived quality of experience is only set to increase in the future; as of now, they have evaluators manually trawling SERPs and ‘grading’ websites based upon subject markers of ‘quality’. Those who don’t think providing a good user experience matters to SEO are quickly falling behind the times. Our point is this: If you can provide a high-quality user experience that compels visitors to visit multiple pages and stay on your site for long periods of time, you can expect to benefit in terms of SEO. Effective tagging can represent one piece of the puzzle in terms of improving the user experience, and ultimately benefit your rankings, even if not directly. To get the most out of your SEO strategy, you need to use tags. Optimizing your content with relevant and useful tags will improve the visitor experience and boost your rankings. SEO Management is crucial for your online rankings. 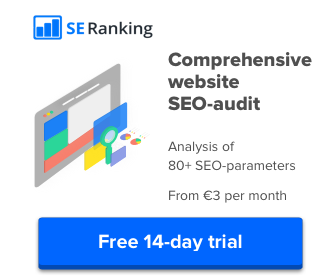 If you build backlinks, like to save time, and want software that makes insightful and useful recommendations – Linkio might be what you’ve been looking for. The relationship between SEO content marketing can always feel a bit complicated – specifically in how the two fit together. Do they get along? Are they at odds with each other? If so, is it possible to ever make them work together? Every online marketer worth their salt knows what a backlink is. Check out this article on How to Build Backlinks:THE DEFINITIVE GUIDE to learn more about it.